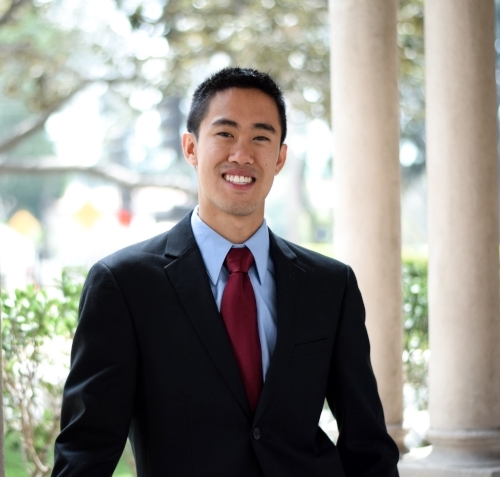 A native of St. Paul, Minnesota, Joshua Tan is a DMA candidate and graduate teaching assistant at the USC Thornton School of Music, studying with Bernadene Blaha. He has participated in piano masterclasses with artists such as Jon Nakamatsu, Boris Slutsky, and Malcolm Bilson. The recipient of many awards, Joshua won first prizes at the Jose Ramos International Video Competition, MTNA Young Artist Competition for Texas, and the 4th annual Mika Hasler Foundation Competition. He was also a finalist in the 2017 Chautauqua Music Festival Piano Competition. Joshua frequently collaborates with vocalists, choirs, and composers. He spent two years in the Arizona Contemporary Ensemble, a chamber orchestra dedicated to playing works by twentieth-century and living composers. During his MM studies at the University of Arizona with Dr. John Milbauer, he received the Outstanding Graduate Teaching Award from the College of Fine Arts. In 2015, he represented UA as a touring soloist in the southwestern United States and in Mexico. His previous teachers include Nancy Weems (University of Houston) and Dr. Joseph Zins.